All roads will lead to the grounds of the Royal Hospital in Chelsea as arguably the world’s most prestigious gardening show takes place over five days at the end of May – and the multi-certificate winning Harrod Horticultural will be there, for the 9th time, at 47 Pavilion Way to showcase brand new products along with some tried and tested favourites. 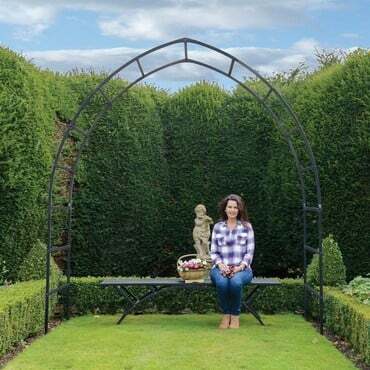 Following on from the public debut of our renowned Decorative Fruit Cage back in 2009, our eagerly awaited Garden Arch range is sure to attract the limelight. Designed and manufactured in-house, the impressive arches form an integral part of the Harrod Horticultural show display and it won’t be difficult to imagine them gracing a garden path, intertwined with climbing roses or any climbing plant for that matter! Joining the Garden Arches on our exhibit will be the much talked about Beepol Bee Lodge and hives which house colonies of those pollinators extraordinaire, the Bumble Bee. This simple method of introducing these hard working and exceptionally beneficial insects – a species that’s indigenous to Britain - to the garden environment is certainly capturing the gardening world’s interest, with many knowing just how important the bees are when it comes to pollinating and improving the yields of fruit, vegetables, flowers and plants. Patio growing aficionados will be delighted to hear that the Ladder Vegetable Growing Frames – both the freestanding and lean-to versions – will be on display and emphasizing just how versatile their interchangeable tray growing system really is; and with patio cohorts the A Frame Vegetable Gardens – both the full size and indescribably cute mini version – also in attendance along with the multi-depth, root crop and salad-friendly Manger Raised Planters, 47 Pavilion Way will be a great place to gain patio inspiration! For those who appreciate reliable tools that last, look no further than our traditional and much coveted hand-made stainless steel designs by Sneeboer. 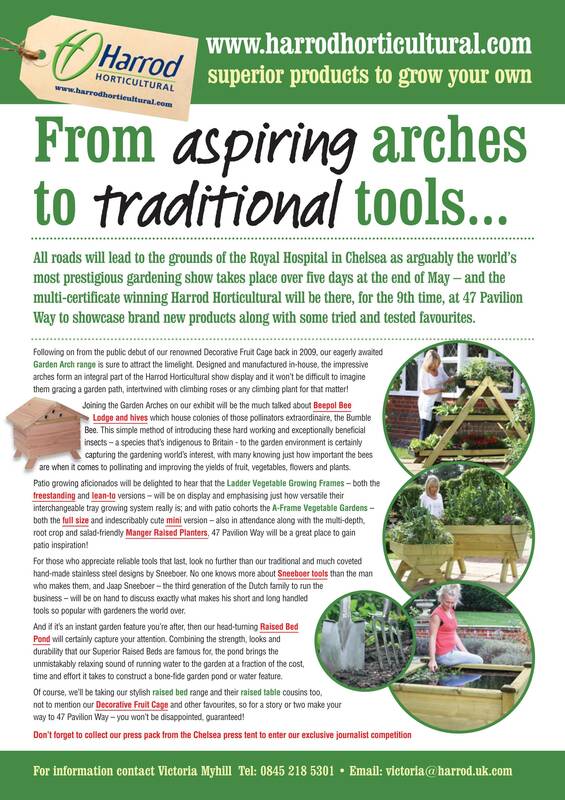 No one knows more about Sneeboer tools than the man who makes them, and Jaap Sneeboer – the third generation of the Dutch family to run the business – will be on hand to discuss exactly what makes his short and long handled tools so popular with gardeners the world over. And if it’s an instant garden feature you’re after, then our head-turning Raised Bed Pond will certainly capture your attention. Combining the strength, looks and durability that our Superior Raised Beds are famous for, the pond brings the unmistakably relaxing sound of running water to the garden at a fraction of the cost, time and effort it takes to construct a bone-fide garden pond or water feature. 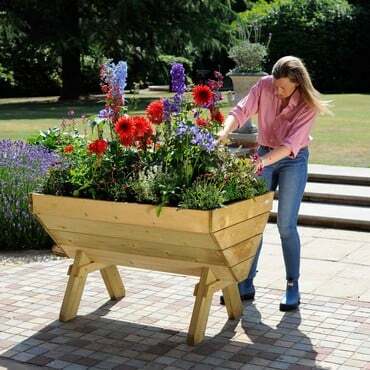 Of course, we’ll be taking our stylish raised bed range and their raised table cousins too, not to mention our Decorative Fruit Cage and other favourites, so for a story or two make your way to 47 Pavilion Way – you won’t be disappointed, guaranteed!